* The prices that you see is what will be charged to your credit card, taxes, delivery and pick-up are included; Per each additional day after 7 days of rental add $20.00. LAS VEGAS SCOOTERS protection plan is optional. Introducing the 2017 PERSUIT. The PERSUIT has a lot of exiting features like 13 inches wheels , 2 speed ( the first speed is up to 4 miles per hour and the second speed doubles the speed of a regular scooter, this means the PERSUIT maximum speed is 8 miles per hour. 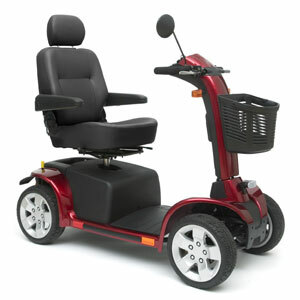 It also has turn signals, front lights, break lights, adjustable back rest, 4 wheels, etc. The Persuit weight capacity is 400lb. The Battery life is 15 miles. This is a very luxury machine and is a very fast scooter. If you are looking for something fast and relievable this is your best option.